You are here: Home / Tests & Investigations / What Does An Echocardiogram Show? An echocardiogram is used to show possible abnormalities of the heart structure and function that may be the cause for symptoms thought to be related to heart disease. An echocardiogram shows us the structure and function of the heart. It provides information on the heart pumping function and heart size. It shows us information on the heart valves and other structures in the heart. An echocardiogram also shows patterns of blood flow through the heart. 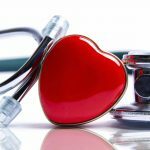 What Does An Echocardiogram Show – Who Needs An Echocardiogram? Patients may be referred for an echocardiogram for a variety of different reasons. It may be due to symptoms concerning for heart disease such as shortness of breath, chest pain, palpitations, dizziness and other related symptoms. It may be to investigate a murmur heard on physical exam. It may also be to monitor existing heart conditions such as valve problems or heart failure. An echocardiogram gives us accurate information on the pumping function of the heart. The echocardiogram will be used to calculate the ejection fraction of the heart, which is the percentage of blood that the heart pumps out with each beat. Normal ejection fraction is 50-60%. The echocardiogram also provides information on the relaxation of the heart. Heart failure can be caused by both pumping and relaxing abnormalities. Echocardiography will show information on both the left and the right side of the heart. Measurements taken from an echocardiogram can show heart tissue characteristics. In patients with chest pain there are a number of different possible causes, some of which can be assessed by echocardiography. If artery blockages are suspected the echocardiogram may show abnormalities in the walls of the heart supplied by those arteries. These are known as wall motion abnormalities. In cases of pericarditis, which is inflammation of the lining around the heart there may be fluid accumulation around the heart known as a pericardial effusion. Echocardiograms show structure and function of the 4 valves in the heart. The aortic valve, the mitral valve, the tricuspid valve and the pulmonic valve. They can show abnormalities in valve function such as tight or leaky heart valves. A tight aortic valve is known as aortic stenosis. A leaky aortic valve is known as aortic regurgitation. A tight mitral valve is known as mitral stenosis and a leaky mitral valve is known as mitral regurgitation. Echocardiograms can be used to show the degree of tightening or leakiness of a heart valve and help us to make decisions regarding need for intervention. Echocardiography is used to provide information on heart size. It can provide accurate dimensions of the chambers of the heart and also the thickness of the heart walls. It can therefore be used to detect heart chamber or wall enlargement known as hypertrophy. Echocardiography will provide information on both the left and right side of the heart. Doppler is a type of echocardiography that can show patterns of blood flow through the heart. Doppler can give us an idea of pressures inside the heart and detect those that may be abnormally high. 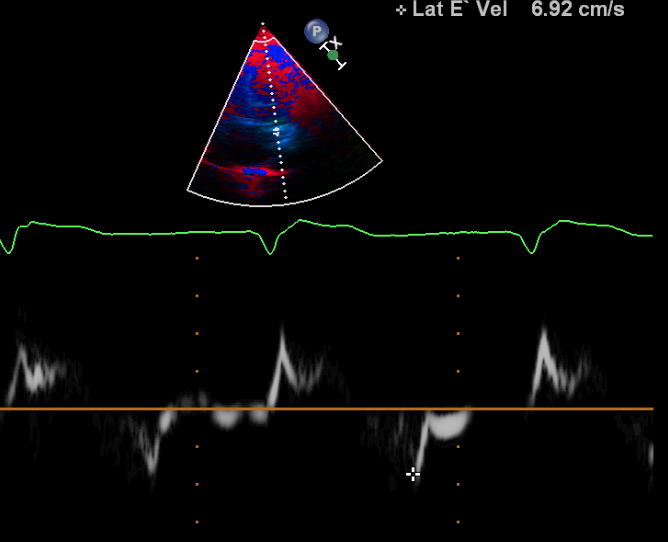 Color Doppler may be used to examine for leaky or tight heart valves. Most newer generation echocardiography machines will incorporate 3D acquisition that can render the heart as a 3D image showing life like structure and function. Various characteristics such as heart strain can be examined to provide highly detailed information about the heart tissue function. These features are not typically reported on a standard echocardiogram. Echocardiography can be used to guide certain heart procedures such as the Mitraclip procedure, the TAVR procedure, paravalvular leak repair, mitral valvuloplasty, alcohol septal ablation and many others. 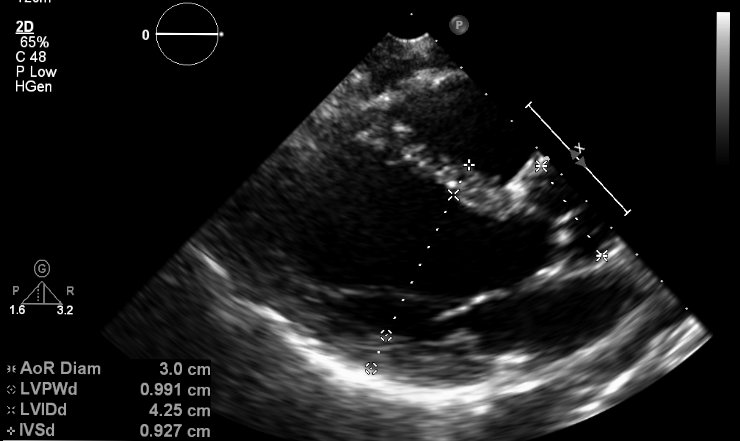 In many cases advanced techniques such as 3D transesophageal echocardiography may be required. These techniques can provide real-time 3D lifelike images that can guide procedures remarkably well. Many heart disorders will need to be monitored over time to ensure they stay stable and don’t worsen and to assess response to therapy. Echocardiography is a highly reliable way to show changes in heart structure and function over time. I just wish these Doctors could get their act together and give us the correct answers…..Is coconut oil good for us or not? That is the question…..
Why do some say it is when some say it is not ????? Just does not make sense to me…. Not sure what this has to do with echocardiograms, however clearly an interesting topic. I had the same thoughts myself this week. I had started using coconut oil over the last few years and was very surprised to read the reports last week basically saying it is no better than other so called harmful saturated fats. It is extremely annoying how recommendations change so frequently and makes it hard to take many nutritional recommendations seriously. In my opinion, if part of a healthy diet with low carb in general, coconut oil is very reasonable. I’m learning but under what circumstances wouldn’t my echocardiogram be able to assess diastolic function?? The reason that a single advisory statement from the American Heart Association claimed that coconut oil was to be avoided was because it is mostly saturated fats. Saturated fats are bad because they increase LDL. Increased LDL is bad because it is associated with heart disease. So it’s really a chain of implications that lead to this report’s warning. This is known as the saturated fat-cholesterol-heart disease hypothesis advocated by Ancel Keys back in the ’50s and since pretty much disproven, but not discarded. In fact, if you look at the many, many papers on LDL it turns out that LDL has little effect on heart disease for middle aged men; lowering it with statins produces an absolute beneficial effect of about 1% reduction in all-cause mortality after taking a statin daily for five years. In other words, it increases lifespan by a few days, and statins have significant side effects. On the other hand statins show no benefit for women. And it’s been known since Framingham that LDL is actually protective for older men (you know, the ones who would be concerned about heart disease). There is ongoing controversy about whether saturated fats are harmful or lead to heart disease. My understanding of the best new research is that saturated fats are not harmful, but processed vegetable oils, especially those having trans fats, definitely are. All fdats are not equivalent. This is hard for nutritionists to swallow. What are the practical consequences of eating saturated fats? Let’s look at a concrete example: a person who started out with total cholesterol well above 200, making them a candidate for statins. If they go on a well-formulated ketegenic diet they will eat just the carbohydrates that leak into their diet from vegetables, they’ll eat plenty of fatty, red meat as well as chicken and fish, and they will eat the bulk of their calories in the form of fat, mainly saturated fat including lots of coconut oil. After some months on this diet their total cholesterol will drop below 200, their HDL and LDL will increase maybe 25%, but their triglycerides will decline maybe 50%. Their ratio of Total Cholesterol to HDL will probably end up less than 3, meaning they would have about half the average risk for heart disease of someone their age. The AHA advisory has been attacked for selecting only four studies that support its claim while rejecting many more that refute it, but this is typical of the confusion that classical nutritionists spew out. The many research papers and personal experience of Atkins-type dieters should reassure you that you can eat all the coconut oil you want. Bon apetite. Thank you Tumblemark. Good info to prep for mrg wife’s Cardio next week about her ultrasound this morning. Too much white stuff on the screen for my liking. I just saw a show on Dr Oz about this. Coconut oil is HIGHER in saturated fat (bad) . You need to find it WITH FIBER and then it’s ok. But I remember years ago that they made the theaters STOP USING COCONUT OIL TO POP THEIR POPCORN BECAUSE IT WAS TOO FATNING! I THINK I’LLLL STICK WITH OLIVE OIL! I can only speak from my experience. I stopped adding a teaspoon or two of Coconut Oil to my coffee each morning and stopped eating shrimp. My total cholesterol dropped from 226 to 200 in three months. For me, that answered my question because my PCP could not answer it for me. What is the purpose of a stress echo? I saw a cardiothoracic surgeon yesterday. He told me that my aortic stenosis is in surgery range. We both agree I am not quite sick enough yet for surgery. My cardiologist is planning next echo in December or January. If there are any changes at all, it’s go time. This surgeon told me he is going to ask my cardiologist to do a stress echo the next time. What is the difference? A stress echo may be used in aortic stenosis when there is ambiguity as to the severity of the disease or if the severity is borderline. The stress (exercise or dobutamine) may be used to see if the disease is pushed in to a clear severe range that may explain symptoms at time of exertion. It simulates the active state. Thank you so much. This makes a lot of sense. You explanation is very thorough. I was getting these every year, at the time it was thought I had BAV, but I had no stenosis yet. Last time was 10 years ago. Now they tell me it’s not BAV, but rather a very thick, stiff 3rd commissary that’s difficult to see. Excelente información, muy agradecida. Mi pregunta: el año pasado (junio) me operaron del corazón accediendo vía torácica, me hicieron 4 by pass y cambio de válvula mitral. Me siento bien a pesar que se me indicó que tengo una hipertrofia ventrículo izquierdo y este tiene una función al 25 %. ¿por qué me siento bien si mi corazón bombea mal? I had an echocardiogram last year from the appearance of heart palpitations that take my breath away sometimes. All my test came back completely normal, but I still don’t know the cause to my palpitations. Would the echocardiogram show if something wasn’t working correctly 100%? The echocardiogram is a good test, but needs to be read by a good operator. If you are worried it will not hurt you to seek cardiology evaluation. The pericardial effusion is described as small and not likely related to the swelling on the chest wall. The situation sounds complex. I would ask your primary care dr if they feel a referral to a cardiologist is appropriate. Hello i had an echo done and the results given to a cardiologist. The results show my measurements are in normal range but the technician put hypertensive heart disease. The cardiologist said I was just hypertensive and gave me meds but my symptoms are worrying me. What do I do? The cardiologist is very good though. Hypertensive signs on an echo may include generalized wall thickening and the concern over time is that the function can depress. For this reason, the blood pressure control over time is key. That is the only real treatment. My question really is can the measurements of the heart and ecg readings show hypertensive heart disease. Can you tell the state of the heart from that as a cardiologist presented with those things. Other parameters are fine (EF 70%, IVsd 11 mm ,Normal wall function, valves and anatomy normal).Am 33 years old very active (weightlifting running and basketball) for most of my life am 178 height and weigh in 84 kg. The first thing to do is have the interpreting practitioner look at the study and determine the accuracy of the reading. Its also important to have them draw volumes if they feel there is any abnormal values. If the ef is 70% unlikely there are issues however have then check. Is LVIDD parameter of 59 mm of very active 33 old male something to really worry about ? it’s just me as the norm for the LVidd is to 57 mm and am above 2 mm. In what time would you recommend for me to retake the exam ? I am a 43 year old male and I am overweight. Last year(June 2017) I had a stress echo done and everything had come back good. No issues what-so-ever. My question is this: It’s been about a year, what level of blockages does the echo read? Doe it show slight buildup of plaque or only major blockages. What if I had minor blockages during my testing and they were missed? Could they have dangerous build up now after a year has passed? Should I try to get an echo every year? If you don’t have symptoms and your stress test is normal and you have been evaluated by a Dr. then that is certainly reassuring. With your history the most critical thing is to manage risk factors such as blood pressure, lifestyle etc. If you are worried and have not been reassured by your evaluation and have symptoms, seek evaluation. There is trace mitral regurgitation. There is trace tricuspid regurgitation. There is trace pulmonic regurgitation. ventricular ejection fraction is 55-60%. 02) Normal right ventricle size. The right ventricle has normal function. I had mitral valve repair 6 months ago. In the last 3 months I have shortness of breath with any exertion and constant fatigue. In recent weeks, also have severe palpitations and headache. Last week ECHO shows trace regurgitation, 60% EF. Cardiologist says ECHO looks good. Is it possible to have some valve malfunction that doesn’t show up on the ECHO? I feel sicker than I did before the surgery. What was the gradient across the valve, sometimes the valve can be tighter than usual after a repair rarely leading to symptoms. If there is supporting evidence such as a murmur and concern for the valve itself a TEE may be the next step of choice. I don’t understand anything about this. To many big words that I don’t understand. What are the colors? A sibling had an echo two months ago at the VA. Normal. After being in emergency and having 5 stents and further surgery in 2-3 weeks for the left side, WHY wasn’t this seen at time of echo? Resting echo does not predict the possiblity of a heart attack in most cases, it simply tells you the function at that time. 2 mnts back.Weather it is recurr 2 mnts.Is it curable.Test shows all negetive. I am a 58 year old male and have stable moderate aortic regurgitation 2-3/4 which is monitored annually by echo. My LVEDV is 155 mls and ejection fraction in the range of 50-55. I have a mildly dilated left ventricle and left atrium but no adverse remodelling. QST – are my LVEDV and EF in the normal range and is there anything I can do to slow progression of the regurgitation? In general medical therapies are not there for aortic regurgitation, blood pressure control and such are important. The best thing to do is ensure regular follow up. I am a 59 year old male and have long term moderate aortic regurgitation which is monitored through annual echos. Generally speaking could these measurements represent improved heart function ie I have lost about 5kgs and increased my exercise to 13000 steps a day at moderate to fast pace? Is the chronic moderate aortic regurgitation likely to be the cause of mild concentric LV hypertrophy? Unless done in a very tightly controlled lab im not sure of the accuracy of the echo although the trend is reassuring. MRI would be more accurate. Chronic AI indeed can lead to concentric hypertrophy. Many possible causes, it requires investigation.